H. Bao, B. Duvvuri, M.H. Lou, and X.L. Ruan, “Effects of Randomness and Inclination on the Optical Properties of Multi-walled Carbon Nanotube Arrays”, Journal of Quantitative Spectroscopy and Radiative Transfer, in press, 2013. H. Bao, B. Qiu, Y. Zhang, and X.L. Ruan, “A first-principles molecular dynamics approach for predicting optical phonon lifetimes and far-infrared reflectance of polar materials”, Journal of Quantitative Spectroscopy and Radiative Transfer, 113, 1683-1688, 2012. 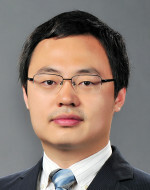 B. Qiu, H. Bao, G.Q. Zhang, Y. Wu and X.L. Ruan, “Molecular Dynamics Simulations of Lattice Thermal Conductivity and Spectral Phonon Mean Free Path of PbTe: Bulk and Nanostructures”, Comput. Mater. Sci., 53, 278-285, 2011.